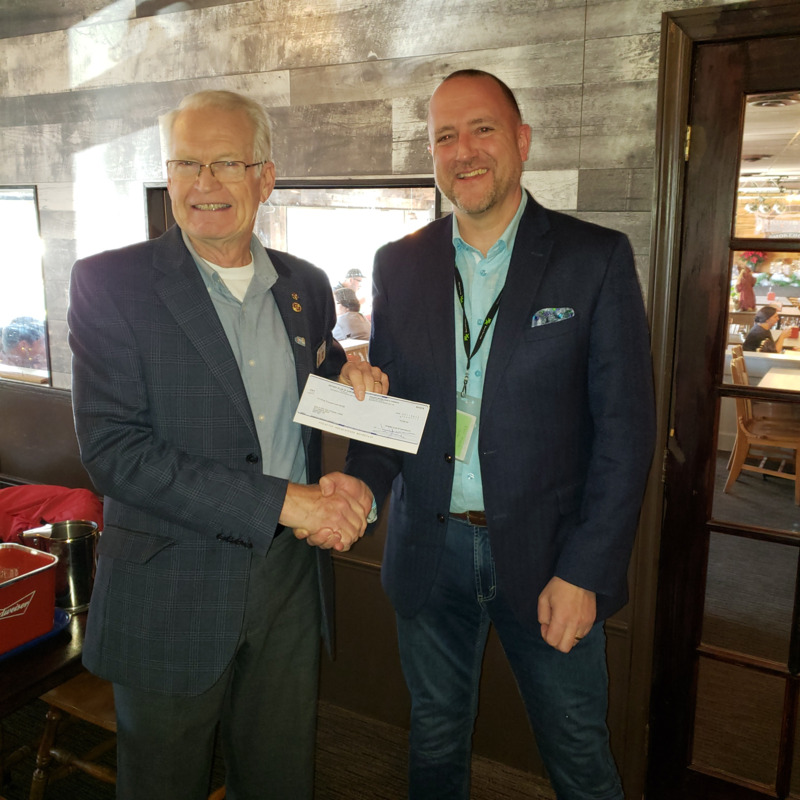 At our business meeting on November 26th club President Doug Hill presented a cheque for $5,000 to Henk van Leeuwen, CEO Boys & Girls Clubs of Great Halifax. The cheque will go to support their Breakfast Program. Children, in some communities, often go to school hungry and the purpose of the Breakfast Program is to ensure students receive a healthy breakfast to start off their school day. It is fact that if a child receives a well-nourished breakfast they perform better in school. This Program is a free service which is offered at local community schools. During the 2017-18 they served over 60,000 breakfasts and snacks. The Rotary Club of Dartmouth has been a long-term supporter of the B&G Clubs and particularly the Breakfast Program.